By 2025, 65 percent of the world’s population will be living in urban areas, according to a United Nations statistic, which will madly increase traffic on our roads. The wonderful prospect of flying over traffic instead of sitting in it is becoming an actual possibility nowadays. Big names like Uber and Rolls Royce have been talking about the idea for years, and Audi have now jumped onboard that fast-moving train. 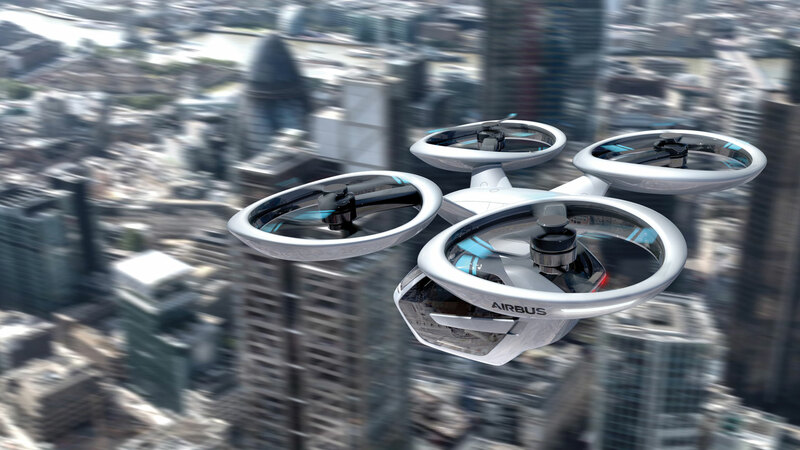 In collaboration with French company, Airbus and Italdesign, Audi has developed a scale model of their latest design, which was displayed at Drone Week in Amsterdam at the end of last year. The idea: a massive, hovering passenger drone that will fly down and pick an electric self-driving cab from the road to fly it to its destination. Named the ‘Pop.Up Next’, the concept taxi service is very much in its early planning stages, so no concrete specs or details. Audi’s main motive behind the concept is to show the public the benefits of new technology and the ease of flight travel in urban areas.